We all struggle with heavy things at times, it’s part of being a human. Sometimes, these things are as minor as stressing out while running late to work and then having everything else in our days go wrong and are as major as having a family member die. But as a wise man once said, happiness can be found even in the darkest of times if one only remembers to turn on the light. Harry Potter provides so much light, and I’ve compiled my 5 most motivating moments from the series. I hope they can be a light for you! It’s no secret that Luna Lovegood was, well, a little loony. In her own quirky fashion, Luna marched to the beat of her own drum. She believed in different ideas, some that required even furthest stretch of imagination, with such tenacity that people often thought she was off her rocker. But Luna never let this change who she was as a person. She would hold tight to her beliefs and never let the opinions of others sway her to change what she knew or who she was. And if always being true to herself wasn’t inspiring enough, Luna was still kind to those around her. She vehemently supported those around her, like when she wore a Gryffindor lion’s head hat despite what people would think about it and reassuring Harry that she could also see thestrals when people were giving him a hard time for believing he was a little off his rocker in that moment. Luna taught me to live with authenticity and to never stray away from who I am because of the opinions of others, all while living with a kind heart. Harry spent his entire childhood living in a home where he wasn’t welcome. His “family” made it quite obvious they didn’t want him there; they even went as far as shoving Harry in a cupboard under the stairs to live while they had a perfectly good spare room that he could’ve lived in. And finally, years after being tormented and feeling unwanted, his life changed in a way that he couldn’t have imagined in his wildest dreams. Hagrid literally busted in to his life and told Harry about this piece of himself that he didn’t even know existed! After years of abuse Harry found out that he not only was a wizard and belonged to a community that he didn’t even know yet, but that the entire community saw him as somewhat of a savior and he was famous in that community! Harry finding out he was a wizard taught me that, even in the darkest times, you could be right around the corner from your greatness and not even know it yet. Remus had to deal with being a werewolf since being bitten as a child by Fenrir Greyback. And while the Wolfsbane potion was created to help ease someone like Lupin during their transformation, it did not stop their transformation entirely. And for the potion to even fully work, it had to be brewed carefully and taken at exact times or it would be rendered useless. Even missing one dose would cause the drinker to go back to losing their mind and sense of self during their transformation. Imagine the stress of having to deal with following the exact prescription of Wolfsbane, let alone becoming a full-fledged wolf who doesn’t even realize they are human any more. Bouncing back from becoming a wolf, without or without the potion, would also be incredibly exhausting I’d imagine. And Remus dealt with this, all with the added stress of being a teacher. And not only being a teacher, but being the teacher who was handed a set of pupils who were two years behind in schooling. Remus taught me that if you have enough drive and motivation, you can overcome hardship in your life. Right before his third year Harry dealt with a visit from his Aunt Marge, a nasty lady who thought the worst of Harry and his family. He had to listen to her repeatedly put him down and insult his dead parents. When Harry lost his temper and caused his Aunt Marge to blow up, he certainly thought he was kicked out of Hogwarts and the stress of what he had just done was too much. He grabbed his stuff and left, not knowing where he was going to go next. He made the brave step to of removing himself from a negative situation. 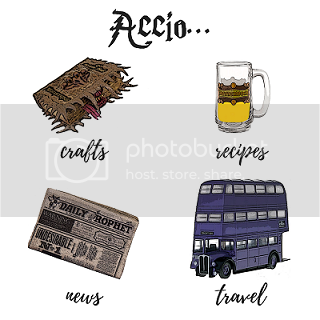 As he was wandering, beginning to debate on how to live life as an outcast on the streets, he was rescued by the Knight Bus and taken to the Leaky Cauldron to spend the rest of his holiday in solitude (and even being fed ice cream!). Harry taught me to not fear removing yourself from negative situations when not knowing your next step, because there could be someone or something right around the corner that’s a much better situation to be in. It was no secret that Neville was a scatter-brain. He had a rough time both in his school and in his personal life. Even before he struggled with schoolwork at Hogwarts, he dealt with a family who lacked belief in him so much they thought he might’ve been a Squib. I’m sure that’s part of the reason he didn’t do so well at Hogwarts- if his family didn’t even believe in him how was he supposed to believe in himself? He also had a terrible time remembering things, which could have been caused by all of the stress he went under from trying to hard to prove himself. Because he had the biggest reason of all to prove himself. He had a set of parents who gave up their sanity in order to protect him and the Wizarding World as a whole. That’s enough to make anybody put a huge amount of pressure on themselves to prove themselves! But Neville proved his worth in a huge way when he sliced Nagini. Neville showed that even though you might feel like a failure to yourself now, there’s something great lingering inside of you that you’ll have the chance to shine at later. Never hesitate to reach out to me if you are struggling and need a chat. I can be found on Facebook and Instagram.